30 years in the bridal business definitely earns you the title of expert. And that's just what Vatana Watters is! With her team taking over our Instagram tomorrow, we got to chat with the woman behind the brand to get the scoop on her 30 years of experience and where she finds all that inspiration! How did you get started in the wedding world? The brand started when I first moved to Dallas after graduating from FIDM in Los Angeles. Dallas was the ideal place to start a new business because of its southern hospitality, thriving fashion industry, and central location to Los Angeles and New York City. We met many people in the industry who were willing to help a startup company. I worked at the Dallas Mart and moonlighted designing and producing bridesmaids dresses during nights and weekends. After designing custom bridesmaid dresses, we took the next step and started selling to local bridal salons, including Neiman Marcus and Stanley Korshak. It was thrilling to see our hard work pay off! Congratulations on 30 years as a company! How has the Watters brand changed over the past 30 years? Thank you! We couldn’t be more excited to celebrate this milestone. 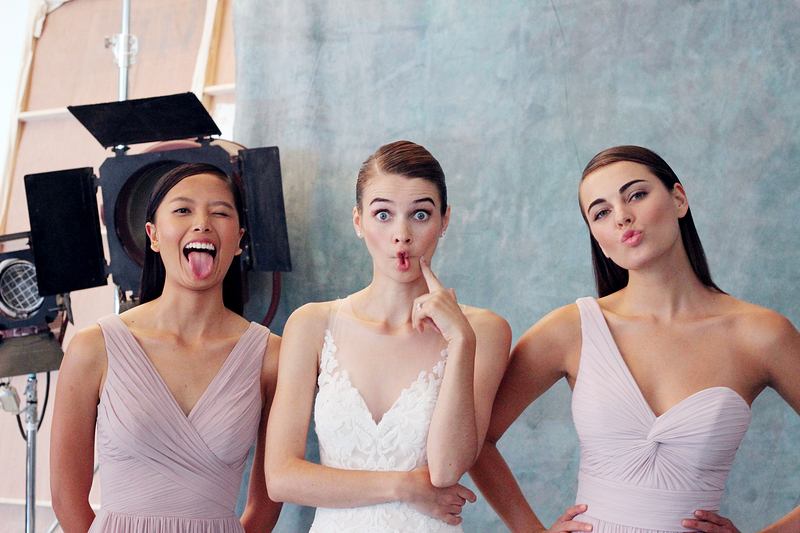 The success of our Watters bridesmaids line led to the launch of our Watters bridal line. Watters Brides is our premier brand of bridal gowns designed with sophisticated styling, luxurious fabrics and intricate detailing. Then, it was a natural progression into the creation of our Wtoo bridal and bridesmaids line in 2009. Wtoo collections are inspired by classic elegance and offer both romantic and traditional designs for brides and their bridal parties. Most recently, we debuted our Willowby by Watters collection (formally known as Love Marley), which is a unique line with a vintage twist, offering fresh takes for the one-of-a-kind bride. What inspires you the most when designing a collection? How do you keep your designs unique and fresh? Inspiration is an interesting thing, as it comes from many forms and places. I’ve found inspiration in trips overseas, to the mall, or even as simple as a stroll down the street. Many dresses have found their way into collections through my recollection of details from my travels, flowers, vintage finds, fabrics, laces, embroideries and beading, books, magazines, media and of course real brides. I’m fortunate to work with such a talented design team. We share our inspirations and many of the best ideas come from these collaborations. Best honeymoon destination and why? Anywhere with a beach! The beach is my ultimate haven as I grew up in Southern California. I love watching sunrises and sunsets, ocean waves, sea life and having sand on my toes! What advice would you give to newly engaged couples when planning their wedding? With so many venues, styles, and gown designers available in the market, the hunt can sometimes be overwhelming. Try not to stress! Remember that the ultimate reward comes after the wedding, when you get to start your lives together as one. If you find yourselves getting lost in the planning process, plan a fun date together that doesn’t involve wedding details. Stay focused on your love for each other, as this is more important than anything! 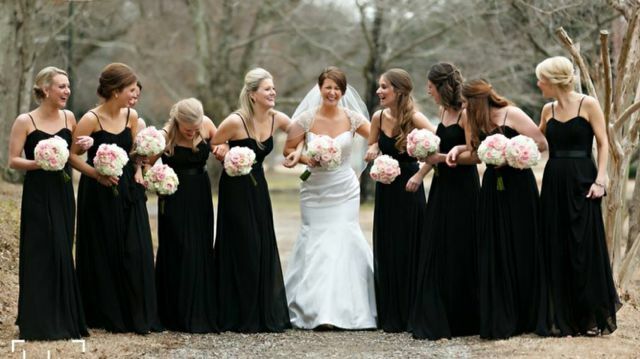 Bride Fran and her bridesmaids wearing Wtoo from Bella Bridesmaids Atlanta. We are so excited to see what you have in store next! 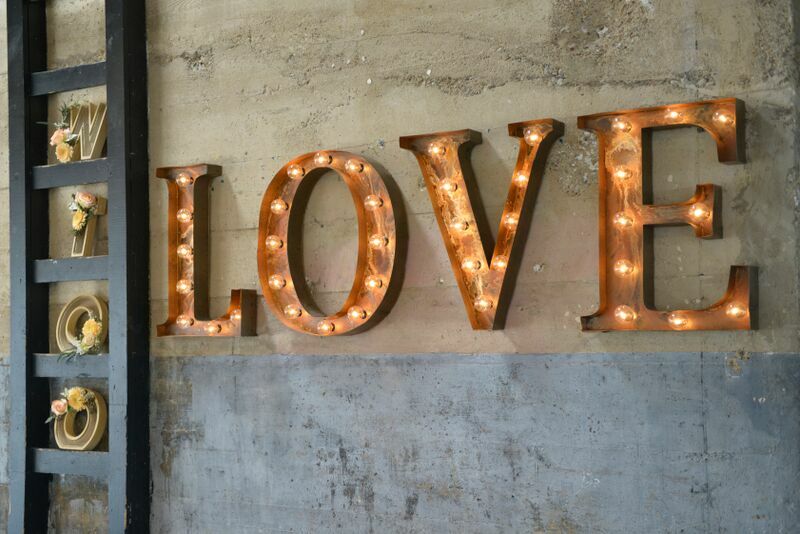 Can you give us any sneak peeks for the upcoming bridal market? We can’t wait to show you! This season we’ll be showcasing more bridal separates than ever before, gowns with intricate hand-beaded detailing and fabric manipulation and several new color options. Be sure to check out our Instagram tomorrow @bellabridesmaids to see the Watters takeover!